-May, Arthur J. 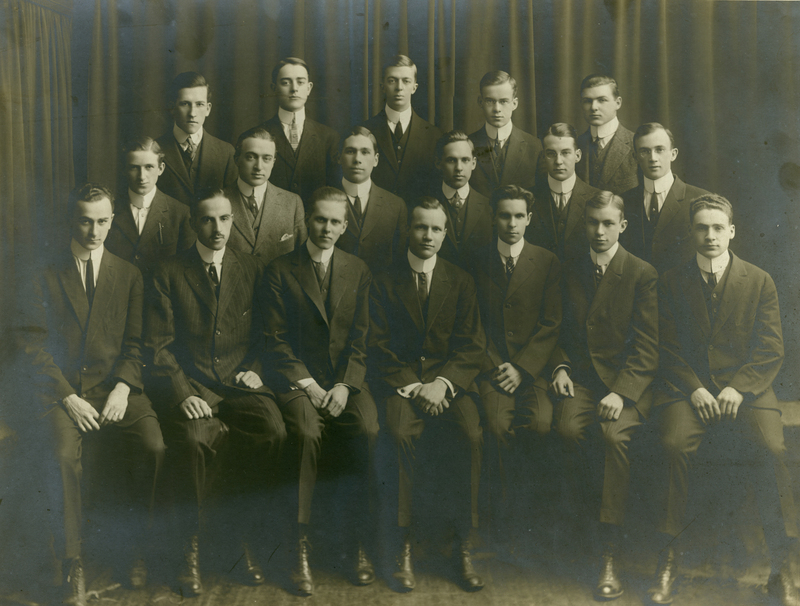 A History of the University of Rochester, 1850-1962. Chapter 7. Corinthian Hall was important to the University of Rochester’s early history because of the large number of events held there. Located in downtown Rochester near what is today the corner of Corinthian Street and Main Street, Corinthian Hall was essentially a large room capable of seating 1,200 people with a stage at one end. The stage was relatively plain and traditional, with two ornate Corinthian-order columnsplaced at the rear of it. 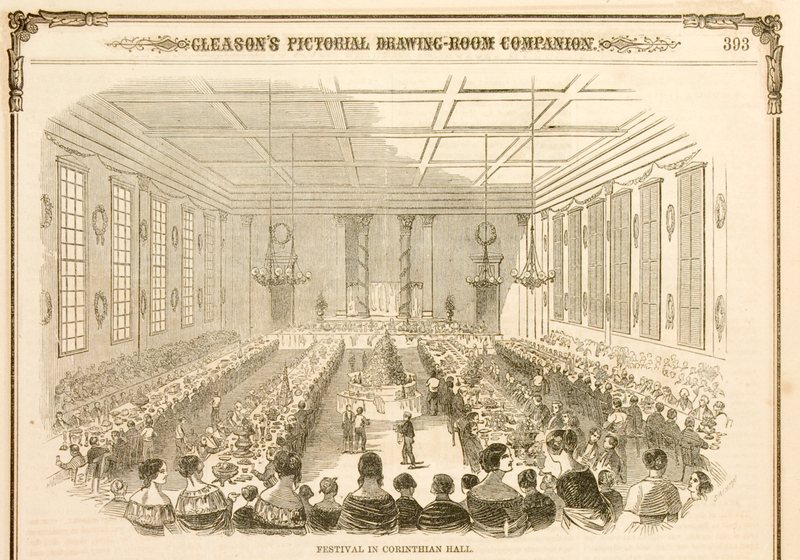 Commencement, student orations, and variety shows, all of which can loosely be described as “productions” or having a theatrical element, were held at the hall. 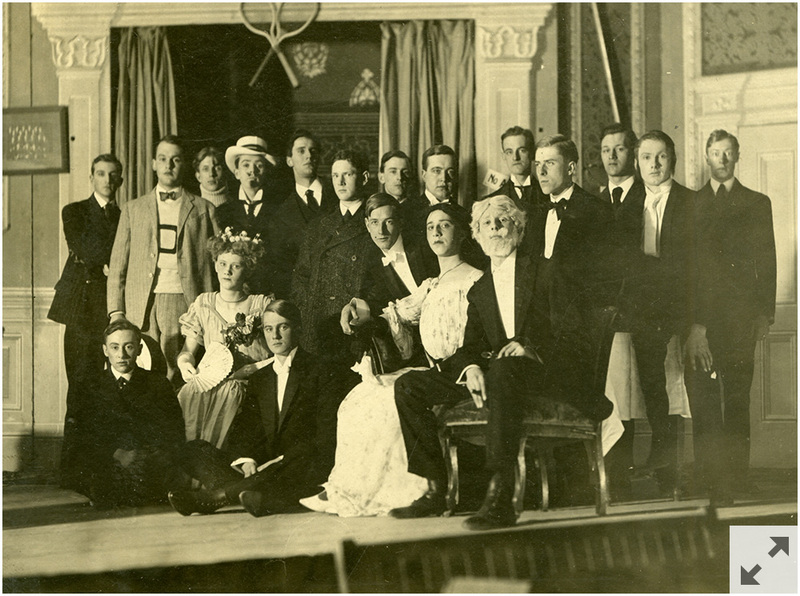 Just before the turn of the century, the University of Rochester Dramatic Club was formed. 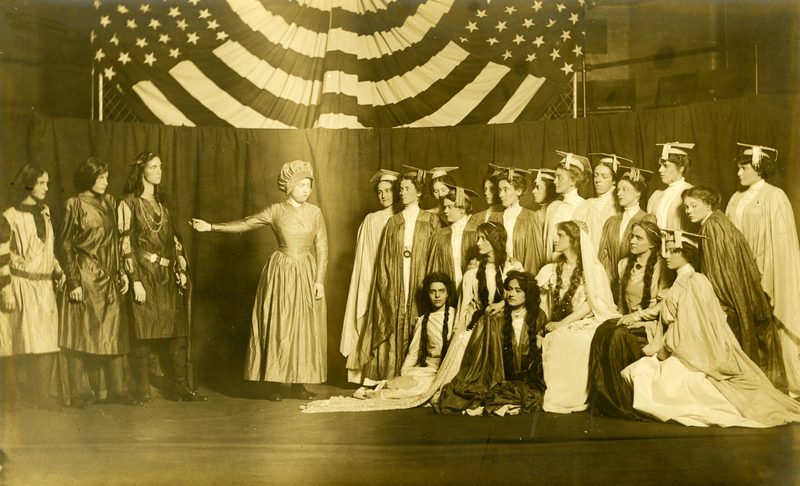 This was the University’s first viable student theater organization. 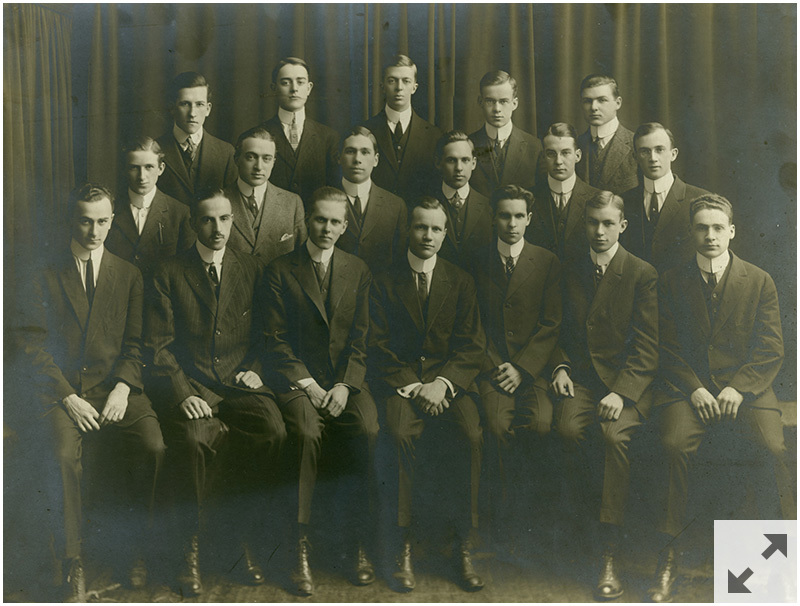 It was formed as an all-male group, and remained so even after 1900 when women were admitted to the University. 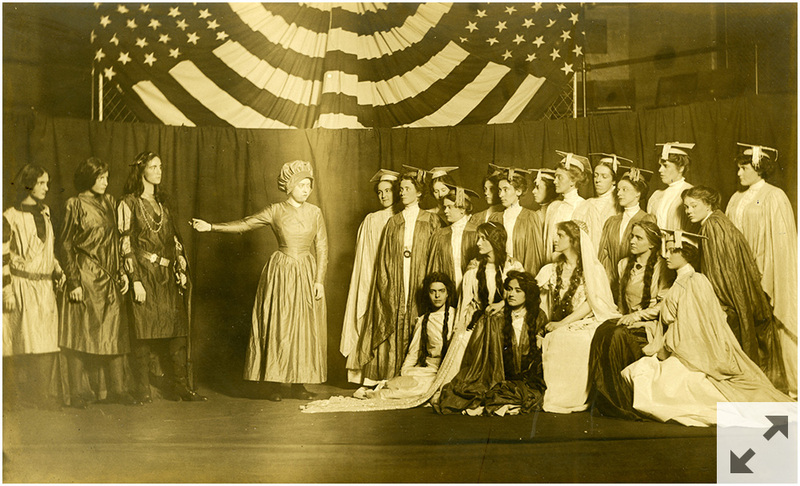 The Club’s shows were staged in the Lyceum Theatre until 1914 when Catharine Strong Hall was completed on the Prince Street Campus (the University’s site from 1861-1955, and still the location of the Memorial Art Gallery). Both standard repertoire and student-written shows were presented. Scenes from “The Princess” by Alfred Lord Tennyson. Women’s Dramatic Club, Alumni Gymnasium. 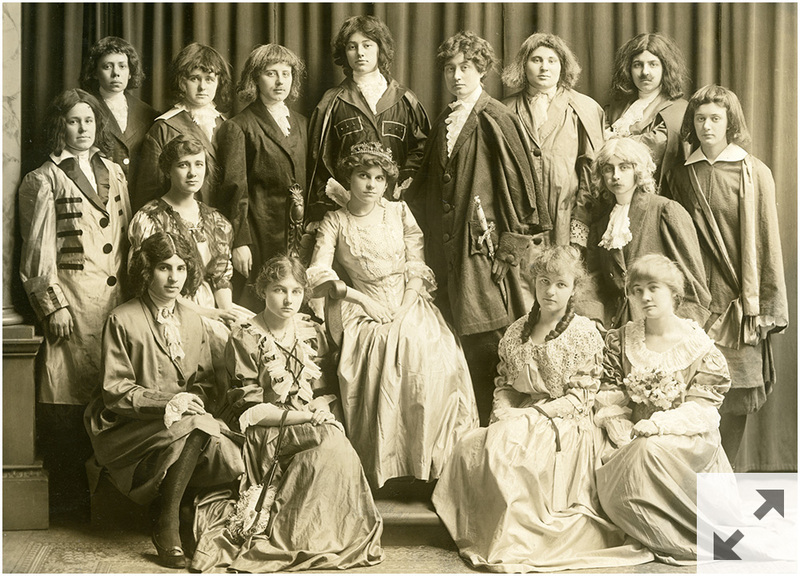 Soon after women gained entrance to the University, they started producing shows. 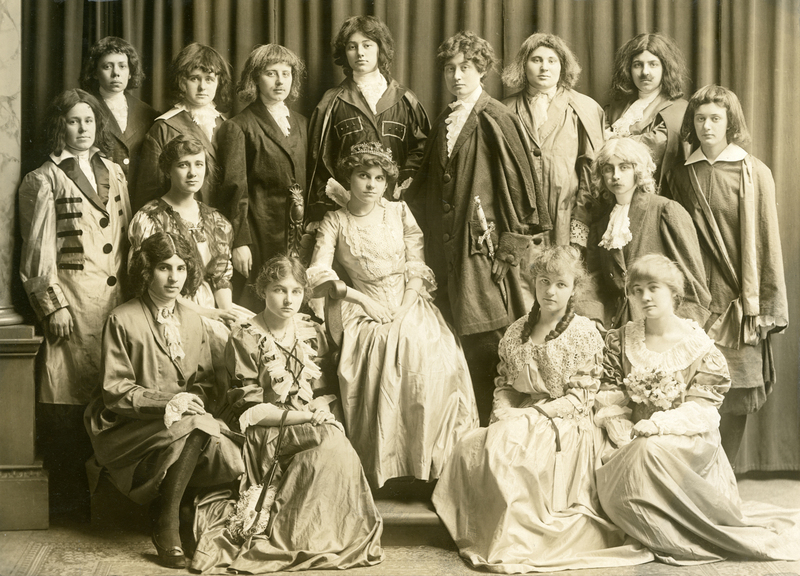 While the University was essentially co-educational from 1900-1913—meaning that there was no separate College for Men and College for Women—the women did form their own separate theater club, known as the Women’s Dramatic Club. 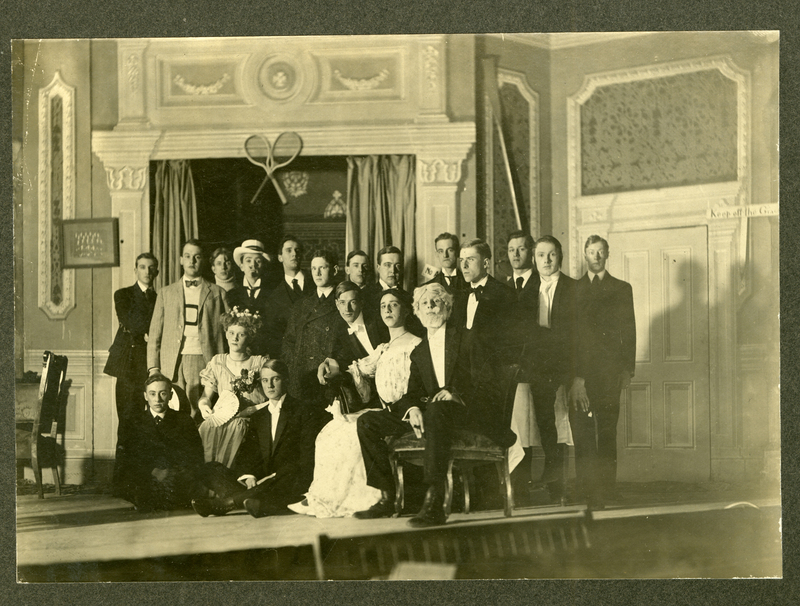 Similar to the men’s Dramatic Club, the company staged both original productions by students and popular shows. Catharine Strong Hall was a multi-purpose facility with classrooms, staff offices, and a dining area, all intended for the use of the College for Women. The Hall’s auditorium featured a traditional stage that was used as a theater space by both the College for Men and College for Women. The construction of the Hall was made possible by Henry Alvah Strong who named it in honor of his mother. 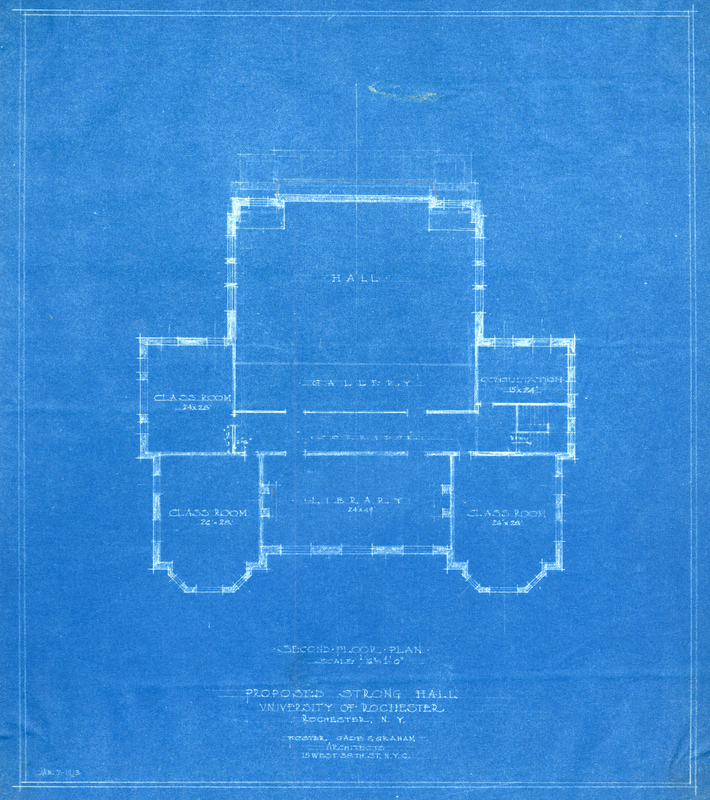 Today, Catharine Strong Hall is one of the buildings used by the Visual Studies Workshop. 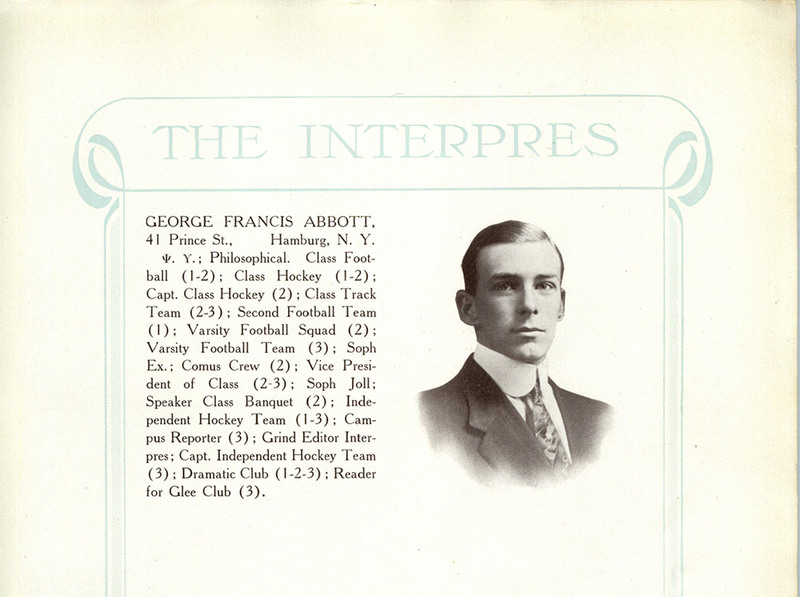 George Abbott (UR 1911) wrote two plays that were staged as senior shows. The first, Perfectly Harmless, was presented in 1911, and the other, Man Proposes, was presented in 1912 after he graduated. Abbott went on to be a professional actor, director, producer, and playwright. He died in 1995 at the age of 107, and some of his most famous productions include The Pajama Game, Three Men on a Horse, and Damn Yankees. In 1960, Abbott won a Pulitzer Prize for Fiorello!